I’m very grateful and humbled to have just been honored with the Juvenile Diabetes Research Foundation Award for Public Awareness at the JDRF MinnDakotas Gala in Minneapolis. It is the dream and prayers of my wife Susan and our daughters to find a cure for Type-1 diabetes. Through the generosity of Minnesotans we raised more than $500,000 to fund the research to achieve that goal. 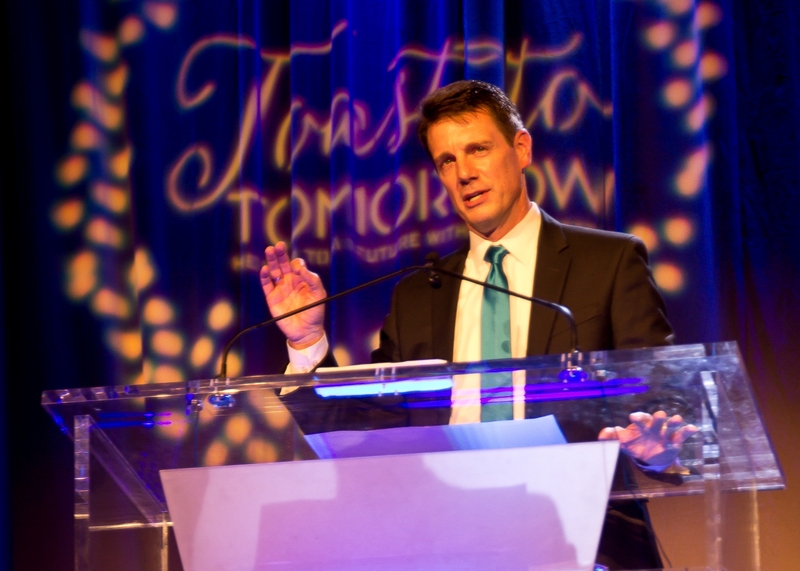 With the help of Scott Leech at BrandSpeak, this is the story of our journey with diabetes in addition to the transcript of my acceptance speech challenging all of us to help families everywhere write their own ending to this disease. 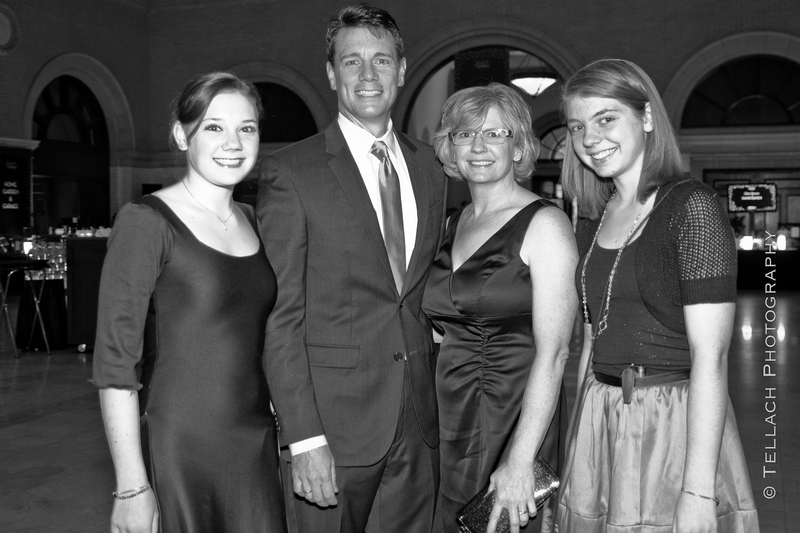 Susan and I are among the luckiest parents in the world. When you have two daughters who light up your life and fearlessly step before you to testify to their own struggles with type-1 diabetes, it makes us proud and very humble. It’s only appropriate that you have a chance to meet them tonight, because they are the reason why Susan I are here. They are the arc of our storyline, the inspiration for the narrative of our lives. 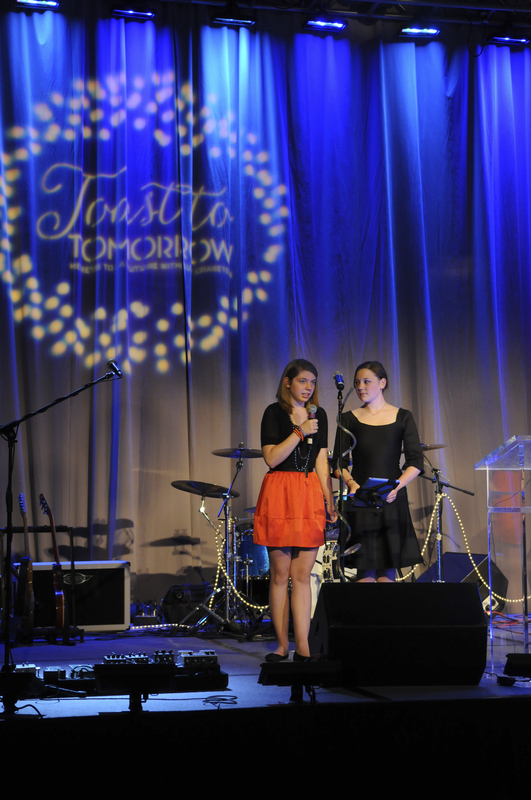 Maddy & Emme Blotz presenting their father with the JDRF Award for Public Awareness at the Depot in Minneapolis, October 6, 2012. To a parent, they are the most powerful six words you will hear. They were more than just a child’s plea. They were a calling. A chorus. A commandment. No longer as parents would we be allowed to simply sit back and just manage diabetes. We had to do something about it. In every respect I’m no different than you. We want a cure. My wife wants a cure. I’m getting the recognition tonight, but Susan is the rock star. She’s the one who’s spent countless nights cuddling a child, measuring keytones and waiting for blood sugars to drop. She’s the one taking the calls from the school nurse. She’s the one crying when the A1-C results come back. She is the one who loves her daughters so much that she’d do anything for a cure. Together, we have tried to use the public platform for which I have access, to educate and advocate for a cure. All of us want to do something about it otherwise you wouldn’t be here tonight. In the audience we have mothers and fathers, sons and daughters, friends and neighbors. But also among us tonight we have doctors and researchers. God gave them the ability heal, gave them the ability to ask tough questions, hypothesize the answers and prove them. The rest of us are here because we have the ability to help them. So, this is our story. It is a story we share together. In this narrative we all have a beginning whether that beginning was a father who has diabetes, a brother, a son, a daughter, a friend, or perhaps yourself. Events like tonight are the middle of the story. We all have them. Our own narratives lead us down different walks of life and different paths with diabetes. But we’re all trying to write the same ending. Thank you for being with us tonight and blessings to you all.